Rock Out at Raglan Road in Disney Springs This St. Patrick's Day Weekend! Elevation (U2) — Back by popular demand, this stellar U2 tribute act will play two special nighttime shows March 16 and 17. They appeared at Raglan Road’s Great Irish Hooley last September during U2’s world tour celebrating 30 years of the groundbreaking Joshua Tree album. The Maguires – Called “brilliant” by IrishCentral news, The Maguires traditional Irish family band comprises Emma, 17, on fiddle, flute and whistle; Aoife, 15, on concertina and uilleann pipes; Sean, 12, on bodhrán; and their dad, Philip, on guitar. Trad favorites and modern tunes combine with syncopated, infectious rhythms sure to wow Mighty Festival crowds. Briste — This inspiring all-female trio includes Emma Robinson (flute, whistle), Joanna Boyle (banjo, vocals) and Alison Crossey (bodhran, guitar). They grew up listening to and playing traditional Irish music, winning numerous awards at County, Ulster and All Ireland competitions, quickly gaining themselves a fine reputation in traditional music circles. Blending together their rich musical backgrounds, Briste creates a fresh and exciting mix of country, folk and Irish traditional music. The Byrne Brothers — An exceptionally talented traditional Irish music family from Donegal. They are Luca, 13 (button accordion); Finn, 11 (banjo, mandolin and whistle); Dempsey, 8, (whistle and bodhran); and father,Tommy (guitar, Uilleann pipes, fiddle, whistles, bagpipes and bodhran). Their show combines exciting traditional Irish tunes with modern dance beats, and they love to interact with every audience. The Raglan Roots Coalition – This edgy house band is known for its soul-rockin’ Celtic bluegrass with hip-swingin’, knee-shakin’ funky roots beats. Reel Republic – Hailing from the southwest corner of Ireland, Aisling Egan-Sage (fiddle); Liam O’Keefe (box, vocals); and Colin Foley (guitar, vocals) are Reel Republic 2.0, three seriously talented musicians always pushing to make the next gig better than the last. Out the Gap – Niall McIlroy (guitar, ukulele bass, whistles and flute); Deirdre Ni Mheachair (fiddle); and Aidan Byrne (guitar, vox, keys and percussion) make up the pub’s newest house band performing a sweet combination of innate musicianship, beautiful tune playing and fairly outrageous virtuosity. Guests can enjoy a mighty selection of beers, spirits and craft cocktails to pair with exceptional pub grub and more elegant Irish fare while musicians and dancers perform on multiple stages, indoors and out, from noon-1:30 a.m. March 16 and 10 a.m. until 1:30 a.m. March 17 and 18. Mighty Festival guests can accent their Irish holiday attire with complimentary face painting available for up to nine or 10 hours each festival day. On March 17, St. Patrick’s Day, guests will be seated on a first-come, first-served basis with a cover charge of $10 for each guest age 18 and older. Reservations can be booked for other festival days by calling 407/938-0300. Guests can order from Raglan Road’s brunch, lunch, dinner and bar menus that include new dishes like the Guinness-braised pulled pork, apple chutney with pork crackling on a homemade bun, and the handmade gnocchi with seared Georges Bank scallops and crispy pork belly. Traditionalists can dig into the pub’s loin of bacon and cabbage, the authentic Irish dish of St. Patrick’s Day, plus other pub classics. Throughout the event, the restaurant’s Cooke’s of Dublin counter-service eatery will offer Irish favorites, as well, including fish and chips. It’s not too late to start planning your visit to Disney Springs and Disney World for St. Patrick’s Day! 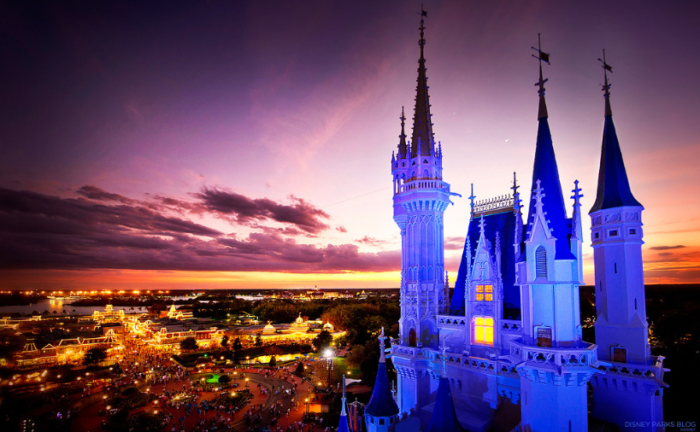 CLICK HERE, fill out the form below, or send an email for a FREE, no obligation quote with an Authorized Disney Vacation Planner. I offer rate monitoring to ensure you are receiving the best available rate offered by Disney and my services are 100% FREE!